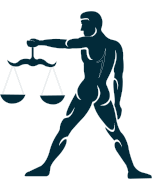 Libra is seventh sign of Zodiac. Libra born are educated and learned. Their mind is very active and they are generally day-dreamer. They are logical in their approach. They may not get help of their friends at the time of need. They are better known for their sense of justice. Saturn and Mercury are considered to give favorable results for them. Here are general predictions for Libra born for 2018 based up on the Moon Sign and transit of other planets during the year. Specific predictions depend upon the placement and strength of planets present in the natal chart of an individual. Mahadasha and Antardasha period of particular planet in the chart also decide important events, bad or good, in this time frame. These predictions will work as guidance for the natives born with Libra as their Moon Sign including recommendations, precautions and few remedies to be taken in case you are running adverse time during the year 2018. At the beginning of year 2018, Jupiter will be transiting in Ascendant in Libra and will move to next house on 11th October 2018. Saturn will be transiting in third house in Sagittarius throughout the year. Rahu and Ketu will be transiting tenth and fourth house in Cancer and Capricorn respectively. Start of the year may not be considered favorable for family life. Relations with family members may not be cordial due to your aggressive attitude. Hot and unnecessary arguments may spoil the sweetness of the relations. Months of March and April will bring some relief. Intervention of some closed one will be helpful. But you may not be able to keep the relations normal again and family life may remain disturbed most of the time during the year. Circumstances may force you to live separately from family. Months of November and December may be considered to give positive results for family life. You may have inclination towards religious activities. Key of success in the matters related to family is to remain cool. Married life may also remain disturbed in the beginning of the year. Mid second half is also not favorable. You may have little interest in married life most of the time. Relations with the spouse may not be stable. So far as love life is concerned, this year may not be considered to give auspicious results for those who are born with Libra as their Moon Sign. Unnecessary and hot arguments should be avoided to evade misunderstandings in the relations. Be careful while expressing yourself as you can be mistaken. If you want to propose for marriage chose November and December for this purpose. This period may prove to be favorable for those who are seeking employment or betterment in the professional life. Relations with the senior authorities will be normal but you will be able to get the support from your subordinates. Judging your performance, you may also be assigned with new responsibilities at your workplace which you will be able to accomplish with confidence. Months of November and December 2018 may prove to be more promising in the matters related to career. Businessmen should be careful while dealing with their partners. Careful planning is needed this year. Unnecessary misunderstandings may develop in the relations. Months of March and April may give positive results. Financial position will be generally satisfactory if you keep control on incurring heavy expenses on unnecessary items particularly during beginning of the year. There is possibility of increase in the flow of money which will keep happy and full of confidence. You will enjoy the worldly comforts and luxuries. You may also be planning to launch some new projects for higher profits during this year. Health will be generally good most of the time during the year. During mid of the year, you need to take care of diseases related to blood pressure. Ailment of ear or pain in shoulders cannot be ruled out. Beginning two months of the year may keep you restless and agitated. Though rivals will be active to annoy you but you will manage to handle them successfully. Students need to work harder this year. They may face difficulties but by virtue of hard work they will be able to achieve their goals. Company of unwanted persons should be avoided after mid of the year. Last two months of the year viz. November and December 2018 may give more auspicious results. You are running last phase of sadhe sati. Bad effect of Saturn has almost completed. Coming transit of Saturn in Sagittarius will prove to be auspicious. You will be able to solve the pending issues and will remain confident. Worship Lord Vishnu and serve the cows. Precautions: You should be careful in the beginning months of the year. Month of May and June may cause health problems to mother. * This is generally a favorable year. * Jupiter and Ketu may not give good results most of the time during the year. * You should keep watch on your habit of incurring expenditures.